NuAir Solutions is a local duct cleaning company serving Greenburgh homeowners. Our specialists can help you with air duct cleaning as well as the installation of energy-efficient air cleaners and humidifiers. Improving your indoor air quality is what our Greenburgh duct cleaning company is all about. It is our mission to help you enjoy a healthier, more comfortable home environment. With more than four decades of experience, we are confident that we can provide the solutions you are looking for. Give our friendly staff a call today to tell us what we can do for you to improve your home's indoor air quality. The first step to improving the indoor air quality of your Greenburgh home is to get air duct cleaning service. It does no good to run an air cleaner if the ductwork has not been thoroughly cleaned first because all the pollutants inside are constantly blown into the house. Let's start with air duct cleaning about every two years to ensure the contaminants inside are removed. The next step to improving the comfort and health of your Greenburgh home is to install a whole-home air cleaner. Don't think that a portable can treat your whole home at once. As you move it around from room to room, only that area is treated. The pollutants in the other rooms circulate to the room you just cleaned. An automatic air cleaner that we install into your HVAC system is the only mechanism that thoroughly cleans the air inside your home. They are energy-efficient and require very little effort to maintain. We install air cleaners ranging from super HEPA air cleaners to air purifiers and UV lights for the air ducts and HVAC system. Low humidity can aggravate the symptoms of asthma, dry out your sinuses, and make your skin dry. 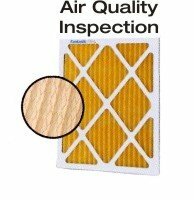 Dry air is also harmful to wood floors and furniture. If you've noticed a problem and are looking at humidifiers for your Greenburgh home, you need to check out the energy-efficient models we install. 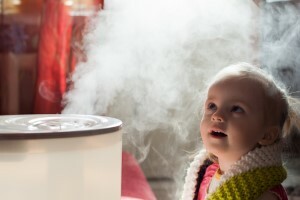 We install several types of whole house humidifiers, so just give us a call for more information. If you are looking for a duct cleaning company in Greenburgh then please call 914-381-5764 or complete our online request form.